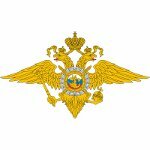 This professional holiday was established by the order of Rashid Nurgaliyev, the head of the Ministry of the Interior of the Russian Federation. The date of celebration was chosen April 17, since back in 2011 it was the 20th anniversary of creation of Internal Affairs Body and Internal Troops. This organization was founded in 1991 to unite the veterans of Internal Affairs Body and Internal Troops in its ranks. Members of this organization are actively involved in promoting respect for the law, conducting preventive conversations with juveniles, share their experience with young police officers and employees of the internal troops. Veterans of Internal Affairs Bodies and Internal Troops accept congratulations on this day and take part in various ceremonies to celebrate this holiday.